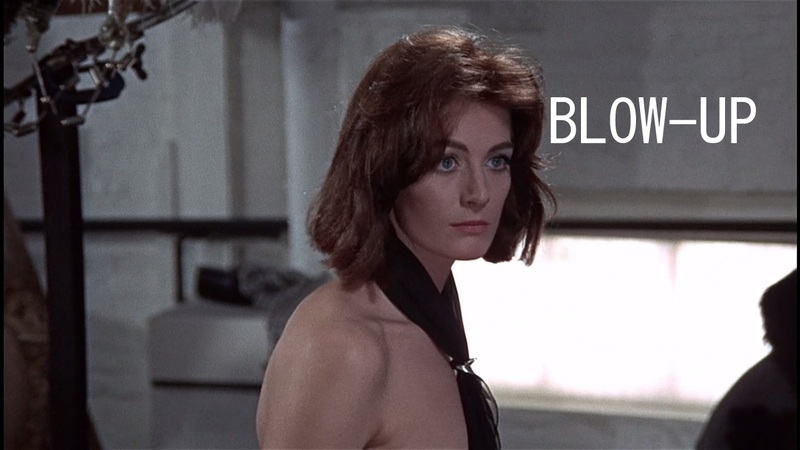 This week's pick for Hit me with your best shot is perhaps the most fitting film for this series - Michelangelo Antonioni's "Blow-Up". Its plot mainly centers around a British photographer Thomas, who spends most of his time seeking inspired shots in his work and his daily life. He's basically going through the same thing we do here every week, often finding interest in seemingly ordinary images. To make it even more "meta", Antonioni himself is compiling his best shots to make this film. What results is an alluring expression of feeling and mood, framed around a rudimentary plot. For my best shot then, I took my cues from Antonioni and his lead character and went for something that captivated me simply for the mood it conveys. In this scene, Thomas has walked in on some young people relaxing with some drugs and alcohol. The camera zooms in on this girl and she takes a puff. I think the shot says it all. She's calm and content (or feeling "groovy" since it's the 60s), without a care in the world. Much like Thomas' random snapshots of Jane (Vanessa Redgrave) earlier in the film, this unsuspecting lovely girl is my star in this moment. She even has a spotlight to prove it.